Navigator CS offers a wide range of project and construction management services to support large programs or project specific assignments in the transportation, civil infrastructure or building market sectors. Our capabilities and services span all phases of project development and delivery – including planning, site selection, design, procurement, construction, commissioning and turn-over. We can support you as either staff augmentation – embedded within your current project team – or as independent consultants providing a defined scope of services to meet your specific project needs. In either capacity we can help you manage all your project-execution related needs. Our professional skills in program and project management have been developed during many years of experience helping owners and contractors successfully deliver projects. This significant experience and broad background covering multiple sectors and project phases enables Navigator CS to provide project management services and solutions that lead to high quality construction products, which are completed on-time and within the client’s budget. 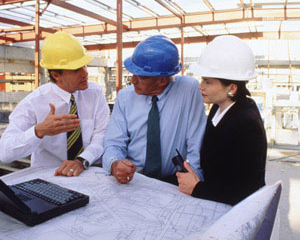 The Navigator CS team includes LEED accredited professionals to assist you with all of your project certification needs. Our LEED – related services include project development phase with scorecard alternative analysis – including extensive knowledge of the components and cost associated with the various types of sustainable design systems which include cost/points trade-offs, construction phase documentation and execution and commissioning. Our focus is always on the success of the project for the entire team of owner, designer and builder. Select from the service areas shown for more details.